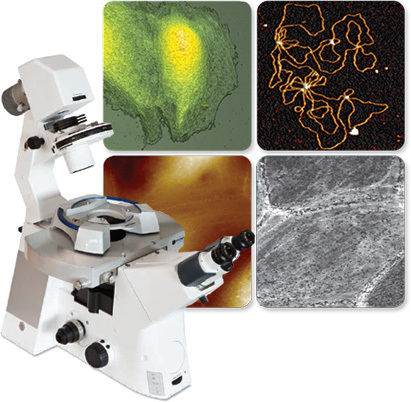 Extend your nanoscale studies by combining Raman microscopy with AFM (Atomic Force Microscopy). The Renishaw inVia integrates completely with Bruker AFM to provide an enormous wealth of information, from mechanical to electrical properties to chemical ID or structural information, taking your material characterisation to a new level. Combining these technologies gives you nanometre-scale chemical resolution, and reveals a range of complementary information. Access unique information about your sample that may otherwise be hidden. Save time by utilising two or more techniques with just a single instrument. No need to transfer your sample. Ensure that you are analysing exactly the same point with both techniques. As partners of both Renishaw and Bruker in the Nordic region (Norway, Sweden, Finland and Denmark), Blue Scientific offer the complete, combined system, along with any accessories you need. We are available to advise on the solution that would best suit your application. Contact us for a quote, or to discuss your research application. 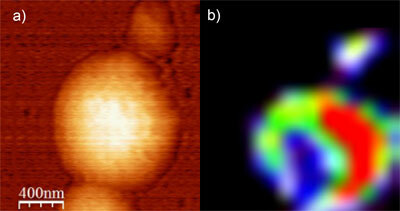 For further examples and to find out if AFM-Raman is suitable for your application, please contact us. Graphene flakes characterised by co-localized AFM and Raman spectroscopy. 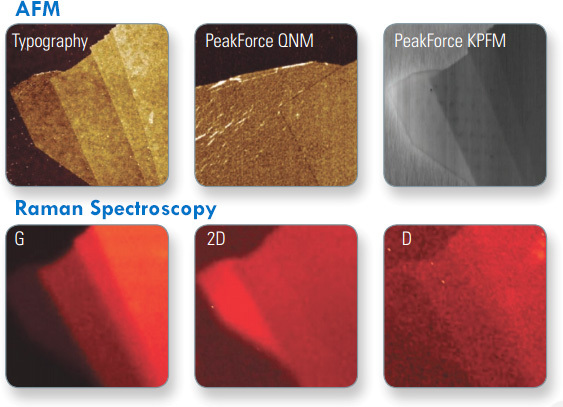 Only Bruker’s exclusive PeakForce QNM technology gives unambiguous information beyond Raman, while highest resolution PeakForce KPFM pinpoints origin of property variation as the most quantitative approach. PeakForce QNM modulus image and Raman map of a polystyrene/polypropylene structure (polystyrene in green, polypropylene in red). Variations in material properties are shown to correspond with chemical composition. The quantitative nanomechanical information in the modulus image to effectively serves as a higher resolution chemical map. StreamLine™ – Fast, large area Raman mapping, with high spatial resolution, even for inhomogenous samples. StreamHR™ – High resolution Raman mapping with oversampling, for maximum detail. 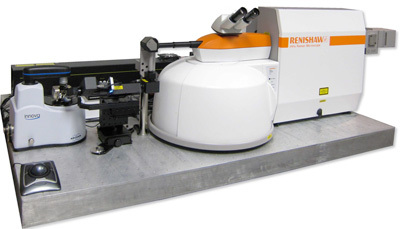 The Renishaw inVia integrates with the AFM via a specially designed flexible coupling arm. This uses mirrors to direct light, which is more efficient than fibre optic coupling. Acquire spectra faster, with higher signal-to-noise. Using an inbuilt video with white light illumination, you can see both the probe tip and the Raman laser spot together, for perfect alignment every time. This is particularly important for TERS. 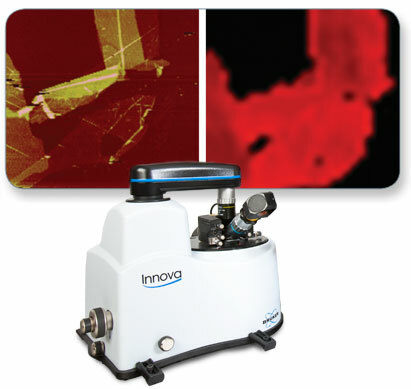 Acquire Raman and AFM data simultaneously from precisely the same point on the sample, without having to move it. This guarantees that your data is consistent, even if your sample changes over time.